Six Chicago Public Schools last week topped U.S. News & World Report’s 2018 rankings of the state’s best public high schools, but a number of other high-performing schools from wealthy suburbs didn’t appear on the list at all. Despite regularly placing among the top public high schools in the country in other rankings, New Trier High School, the 4,000-student Winnetka staple, wasn’t on the U.S. News list of top schools in the country or the state. Nor did it appear on last year’s list from the self-proclaimed “global authority” on education rankings. According to U.S. News, New Trier didn’t pass step one in its four-step methodology for determining the top high schools. Step one looks at whether students perform better than expected in their state. “This focuses on reading and math results for students on each state’s proficiency tests, and factors in the percentage of economically disadvantaged students using free and reduced-price lunch (FRPL) program data,” said Robert Morse, chief data strategist at U.S. News. “When examining the schools’ math/reading proficiency scores and factoring in its proportion of economically disadvantaged students using FRPL data, the school did not perform ‘better than expected’ in Illinois and therefore didn’t pass step one in the rankings,” he said. That methodology is used to whittle a national school base of nearly 29,000 down to the 6,000 or so schools that actually appear in the final rankings. The process includes comparing student performance in a given school against its statewide expectations, then looking at minority and low-income performance, graduation rates and, finally, college readiness. That’s where Advanced Placement and International Baccalaureate exam data comes into play. U.S. News calls these the “benchmark for success” when it comes to judging how well schools prepare their students for college. Only 3 percent of New Trier students are classified as economically disadvantaged. New Trier spokeswoman Nicole Dizon said her school’s administration has been frustrated by a perceived trend in these types of rankings, which they feel rely too heavily on a “one-size-fits-all” approach based around AP and IB participation. “We have resisted the push to put younger and younger students into AP courses,” Dizon said in an email, “holding to our beliefs that a curriculum designed for those learners and not created to replicate college coursework is more developmentally appropriate for our younger students. This year’s rankings are based on data from the 2015-16 school year. Beyond AP and IB exams, U.S. News also calculated the proficiency rates of historically underserved subgroups as part of its methodology, using state-administered math/English Language Arts assessments. Illinois was one of about a half-dozen states that used Partnership for Assessment of Readiness for College and Careers (PARCC) testing data to calculate those rates in 2015-16. But that year also marked the last time Illinois administered the exam to high school students. 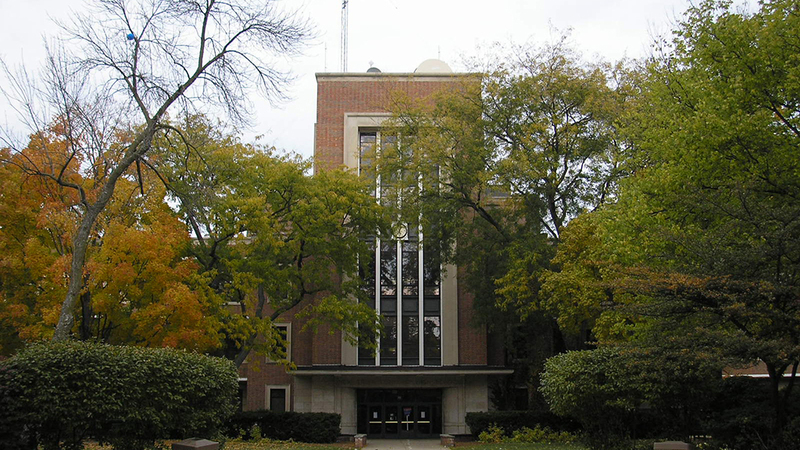 Located in the north suburbs, the Township High School District (comprised of Deerfield and Highland Park high schools, which also did not appear in the U.S. News rankings) says it saw noticeable drops in participation that year compared to years when another test was issued. A “large number” of students either opted out or didn’t take the exam seriously, knowing it wouldn’t affect their college admissions, according to district spokeswoman Christine Gonzales. “The sample was not representative of the academic achievement of the school,” she said. New Trier does not allow 9th and 10th graders to take AP classes, and restricts access for 11th and 12th graders. Instead, they rely more on “faculty-developed courses,” which the school believes are just as rigorous as AP classes. Last year’s graduating seniors who took non-AP honors math and English classes averaged about a 28 on those portions of the ACT exam, according to Dizon, which is right in line with the average score for the full class.